Looking for adventure? Why not check out this post from the past! Yesterday I went on an EPIC ADVENTURE! 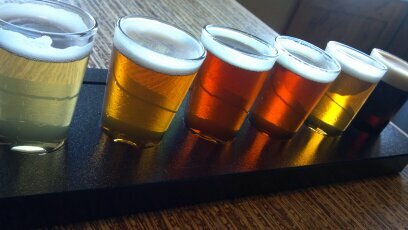 A.K and I went on a day trip north, and investigated a couple of different breweries. The plan was just to tour one, but we ended up touring two, and seeing a third, and have tentative plans to see ANOTHER brewery later this week. 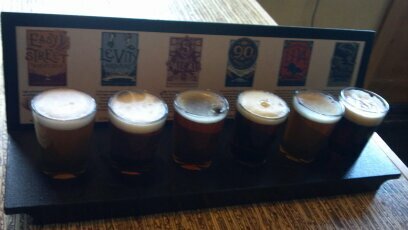 The first stop on our Epic Adventure took us to Odell Brewery in Fort Collins. Awesome K has some contacts in the beer world, as one might expect, and had called his rep from Odell to see if he was around to say hi to. He wasn’t, unfortunately, but he was able to put in a good word for us. 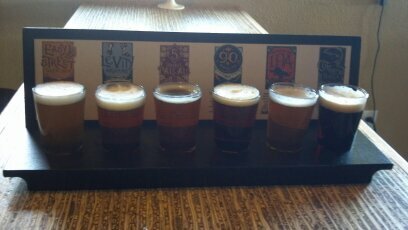 We were able to sample all the beers on tap in their tap room for free, which was mega awesome, and we were extra lucky in that the tour we went on was just A.K, the Tour Guide, and me. Our own personal tour of the brewery! AND we were able to bring a pint with us as we toured! OK, so I think they give you a pint for the tour no matter who you are, but I still felt special. We even caught a glimpse of Mr. Odell himself before our tour, though were weren’t able to meet him…this time. On our tour we learned that Odell was started in 1979 by Doug Odell. Mr. Odell began crafting beer in his kitchen, perfecting two specific recipes; 90 Shilling and Easy Street Wheat. In 1989 he began to expand, buying an old grain silo to start brewing on a more commercial level. Eventually his wife and daughter joined the business, and helped it grow. Eventually the Odell’s moved from Seattle to Colorado, and in the early 90’s they began working out of their new 8000sqft brewery. Now the company has over 67 employees, and in 2011 crafted 58,000 barrels of beer! The history of the company made me fall a little more in love with them. Going from a kitchen in Oregon to a (hopefully) household name is neat to learn about, not to mention inspiring for a humble little baker like myself. 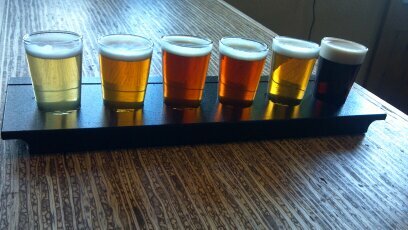 I learned so much about the brewing process, and some of the experimental side of things. Odell has a “Pilot System” that allows all the employees to create their own beer. Our wonderful guide told us about one of the “grunt” workers at the brewery. She and her boyfriend had some in and made a test batch of beer, I *think* it was a double chocolate espresso beer, and sampled it to the other employees, and the in the tap room. Her beer was such a huge success that not only does she get to do it again, Odell is planning on crafting it on a large scale and selling the beer! I love to see that kind of creative encouragement, recognition, and pride in a company. That really won me over! I especially liked that the tour guide made a point to tell us the story, and point out the girl. I know I would be so proud of myself, and my company, if I created something that was so well loved that they decided to market it on a mass scale while still giving me credit for the creation. Very cool. After learning about the perils of being a flower fluffer (it’s harder than it looks! ), how hops are now coming in as pellets in some cases (which is interesting and a little weird), watching the beer get labeled and boxed (a favorite of mine and A.K), and that you can create a brew in used wine/whiskey/tequila barrel, we finished out our tour back in the Odell Tap Room. There were a few things I would have liked to try while we were there, such as their hybrid, “Friek,” but I am positive I will try that on my own. The tour was a great experience, I was able to learn so much about brewing, beers in general, and getting the opportunity to try them all was a real treat. 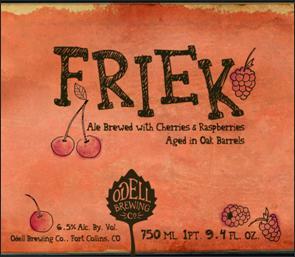 If you are in Fort Collins and looking for a fun time, I highly recommend checking out the Odell Brewery! And this was just the first stop! Stay tuned for Part II – Homemade liquids and Solids, with a side of Skeeball!